New construction research is poised to make big waves both here and far abroad. 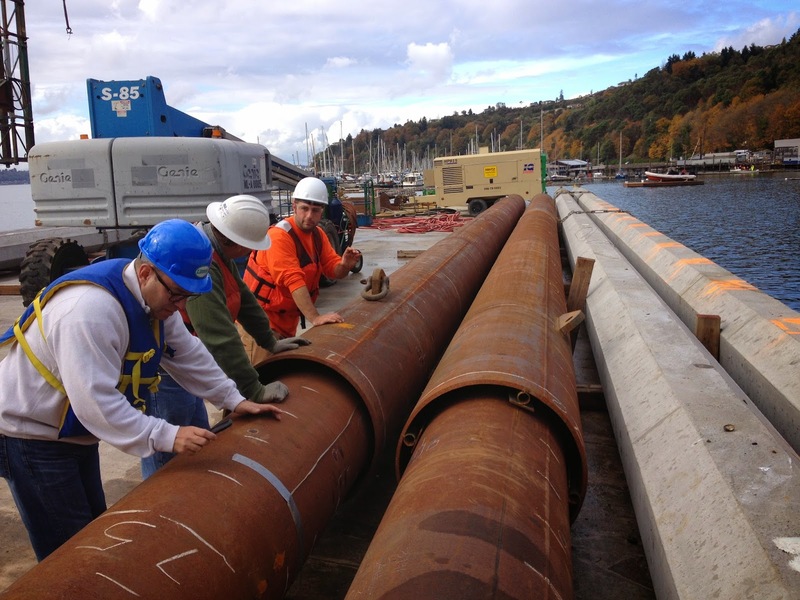 We’ve been working in partnership with the University of Washington (UW) to find ways to reduce the noise created by underwater pile driving that will not only benefit and protect marine wildlife in the Puget Sound, but may also change marine construction practices around the globe. UW’s Mechanical Engineering department submitted a winning proposal for a new pile design technology. With our research-funding support, UW engineers and graduate students studied the mechanics of why pile driving is so loud, how the sound is transmitted underwater and how to reduce that sound. With this knowledge, they created a double-wall pile design that confines the installation noise within the pile itself.